Australasia, also called Oceania or Australasia/Oceania, is the World’s smallest continent – 8,112,000 km² covering approximately 5.3% of the Earth’s land and 1.5% of the Earth’s surface. Australasia/Oceania is broadly divided into four regions as shown on the map right. Australasia lies entirely in the southern hemisphere and the seasons of all are similar. Deciduous forest – Four distinct seasons with warm summers and cold, wet winters. The trees shed their leaves in autumn. Rainforest – High temperatures throughout the year with very little rainfall. Savanna – Very high temperatures all year and rain during the summer season only. Desert – Warm to high temperatures with very little rainfall. Desert scrub – Hot summers and cold winters with above average rainfall. Click on the map (right) for a larger image. Australasia/Oceania is the least populated continent after Antarctica. It contains around 0.5% of the World’s population with a growth rate of approximately 1.3% per year. 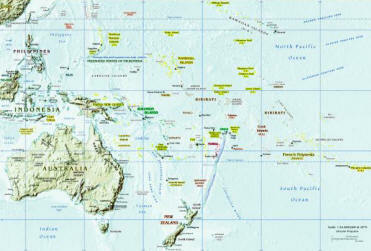 The total population of Australasia is around 32,000,000 (2005). Eastern and south-eastern Australia, northern New Zealand and the Pacific islands are the most populated while the desert region of Australia is the least populated. Australia and New Zealand are the most economically developed countries. The plant life of Australasia is wide and varied and in some cases unique to the continent. 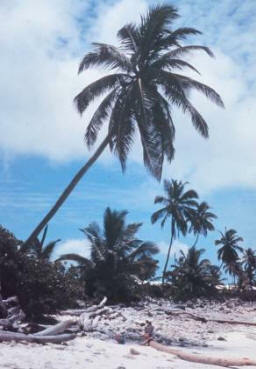 The tropical island regions are home to dense forests with coconut palms and mangroves growing nearer the shorelines. The dry desert and desert scrub region of Australia is home to the eucalyptus as well as those plants that can survive the arid conditions like cactii. The animal life of Australasia is wide and varied and in many cases unique to the continent. 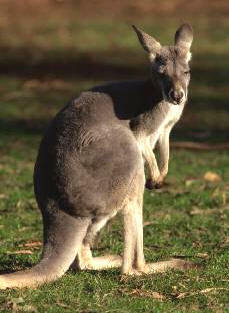 Marsupials such as kangaroos, possums and wombats can be found in Australia and Papua New Guinea. Many of the Pacific islands are the unique home of lizards and geckos. Other animals that can be found in Australasia include koalas, dingoes, crocodiles, monitor lizards and komodo dragons. Birds are a common feature of the Pacific islands while emus, kiwis, and cockatoos are all native to Australasia.